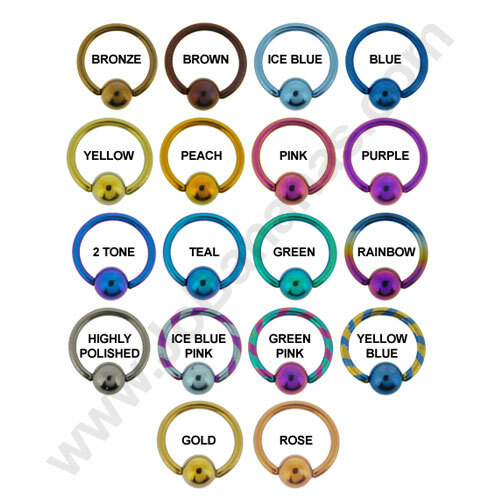 If you select a coloured Titanium option the bar and balls will be the same colour - if you would like different colours that is no problem please just pop a note at checkout with your requirements. 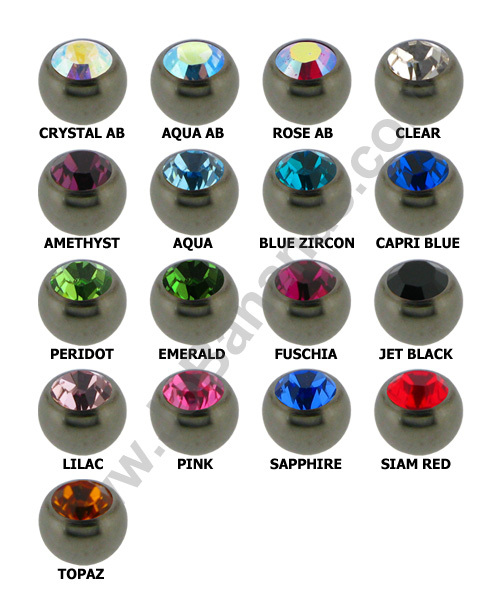 Internally threaded Titanium micro surface barbell in 1.2mm (16 gauge) with gem set balls each end. The thread on the balls is 0.9mm. 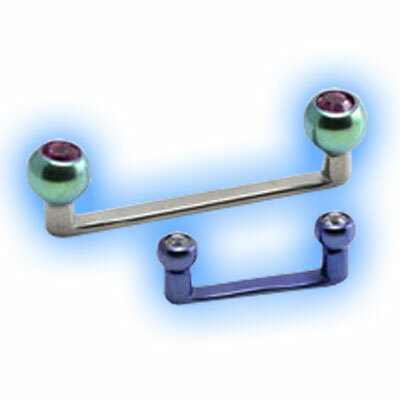 The upstand on these surface bars is 2mm and the balls are available in 3mm or 4mm. Jewel choices available are clear, crystal AB, aqua or rose pink. The barbells are made out of high quality grade 23 Titanium (6AL-4V ELi) and they are available in 6mm, 8mm, 10mm or 12mm lengths. 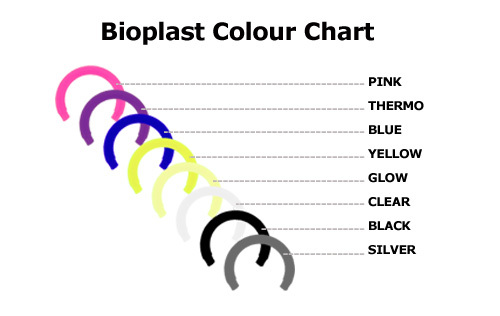 You can choose from Highly Polished (silver coloured) Titanium or Bronze, Brown, Blue, Ice Blue, Yellow, Gold, Rose Gold, Peach, Pink, Purple, 2 Tone, Teal, Rainbow or Green. If you select a coloured Titanium option the balls and bar will all be the same colour - if you would prefer the discs to be a different colour to the bar we can do that - please just pop a note at checkout stating your requirements. "delivered on time , product well packaged and great quality, no complaints great service, recommended to friends cheers"
"Great customer service and speedy delivery."